Americans were busy consuming record amounts of chicken wings and dip during yesterday’s big game, but they were also mobile web browsing more than ever before. According to an official Google blog post, United States viewers used their tablets and smartphones to Google the Giants and Patriots, halftime acts and the best Super Bowl advertisements. 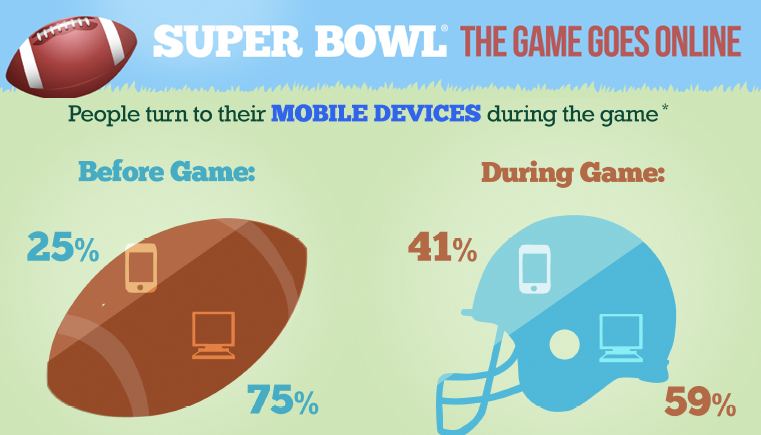 “In fact, around 41 percent of searches related to [Super Bowl ads] that were made during the game came from mobile devices, up from 25 percent for the same time the day prior,” wrote software engineer Jeffrey Oldham. 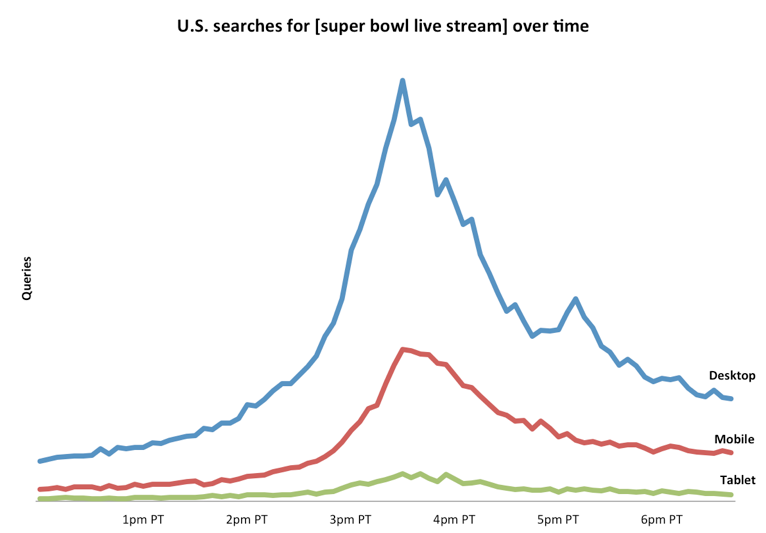 The Super Bowl XLVI streamed live for the first time this year, and a soaring spike in related searches came with the flagship circumstance. Predominate searches initially came from desktop devices, but mobile devices leaped forward as the four-hour game launched into full swing. Read below for more details on Google and the Super Bowl. Google announced the Top 5 Google search trends during the game were Madonna, Halftime Show, Patriots, Tom Brady, and Giants. The Mountain View, Calif.-based Company also announced the most popular commercials were from Acura, GoDaddy and M&M’s. More information on YouTube’s Super Bowl-related searches is available on its blogspot. The ads are available on the YouTube Ad Blitz channel until Feb. 18. Oldham also showcased a Think Insights info-graphic (PDF) that highlighted a few more statistics about the Super Bowl in relation to the globally popular search engine, such as YouTube witnessing 96 hours worth of Super Bowl content uploads and various search terms for Super Bowl party planning.